Our vineyards did not exist 2000 years ago under the Roman Empire. Instead,	that area of the ancient Appian Way (Appia Antica) was home to the Fundus	Rosarius, a garden of roses. Roses were greatly appreciated in Ancient Rome as	decorations and were a love symbol, since they were associated with the myth of	Adonis and Venus. Roses were also closely linked to the wine sphere, as they	were part of Bacchus' cult. Namely, ancient Romans believed that roses would	prevent the drunks from revealing their secrets. The elegant perfume, the	delicacy of the colour and the beauty of those roses gave us inspiration for this	wine. 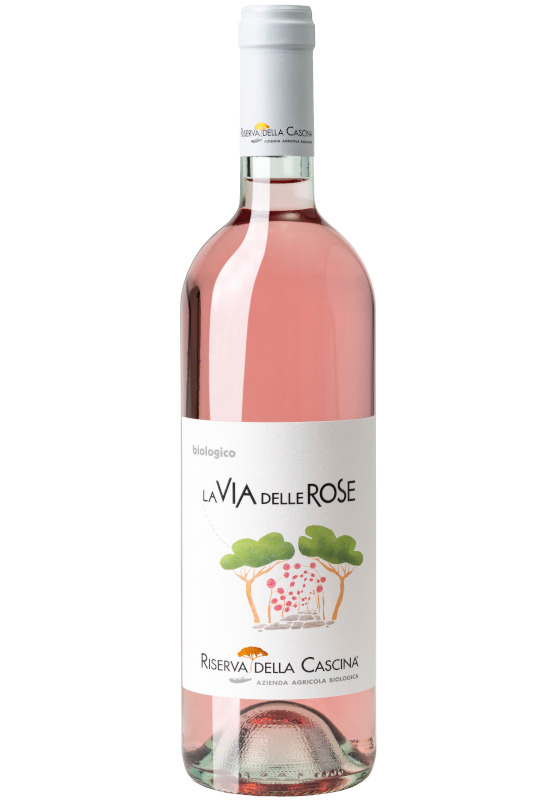 La Via delle Rose (the Way of Roses) takes us back to that garden of roses	that grew on that same ground that is today nourishing our precious vines. Wine-making: fermentation off skins with temperature around 15°C. Colour: soft rosé, with purplish tints. Bouquet: fine, very elegant with notes of strawberry, cotton candy, raspberry, lemon leaves, orange flowers. Taste: dry, warm, fresh, tasty. Food matching: it is perfect with appetizers, raw fish, oysters, lobsters, shrimps, pizza, fresh cheese, very enjoyable also with white meat and veggie pureed soups. Serve at 10-12°C.